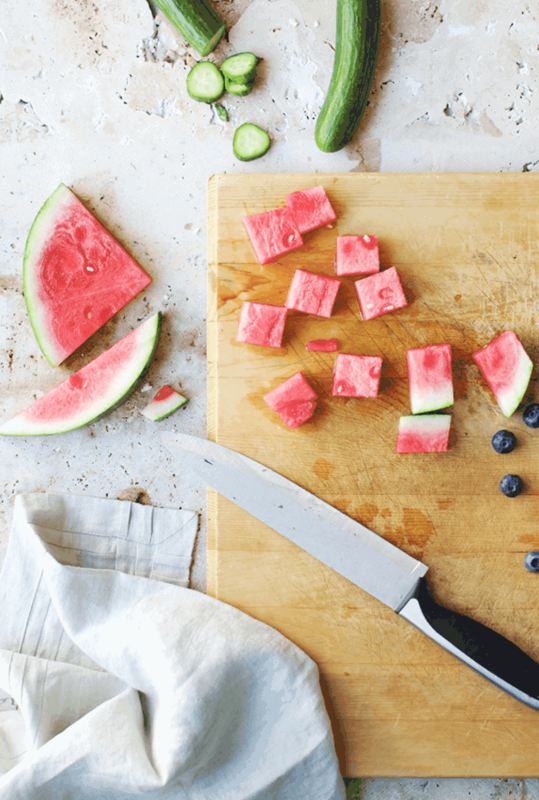 Picture this: you’re standing barefoot in the kitchen, jamming out to your sunny days playlist and chopping up a juicy, watermelon summer salad. 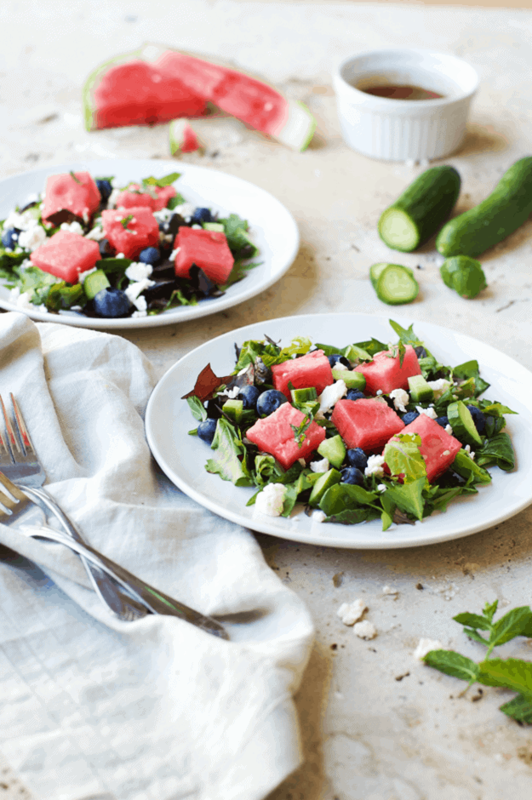 The fresh greens mixed with watermelon and blueberries complement the crunchy cucumbers and bite of the Feta cheese. Doesn’t that sound like the perfect summer day? Maybe even one in a melon! The last step in this salad is drizzling a few tablespoons of quality balsamic vinaigrette over the top. It is a tastebud delight with the sweetness of the fruit! I highly recommend just dunking your watermelon chunks in a bowl of balsamic. YUM. 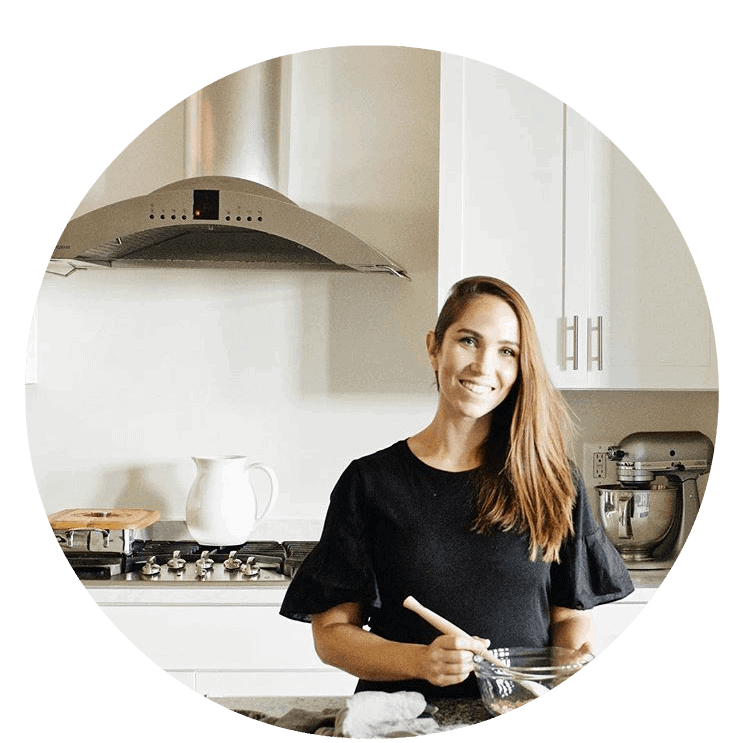 Grab the recipe for this delicious watermelon summer salad below. Enjoy! 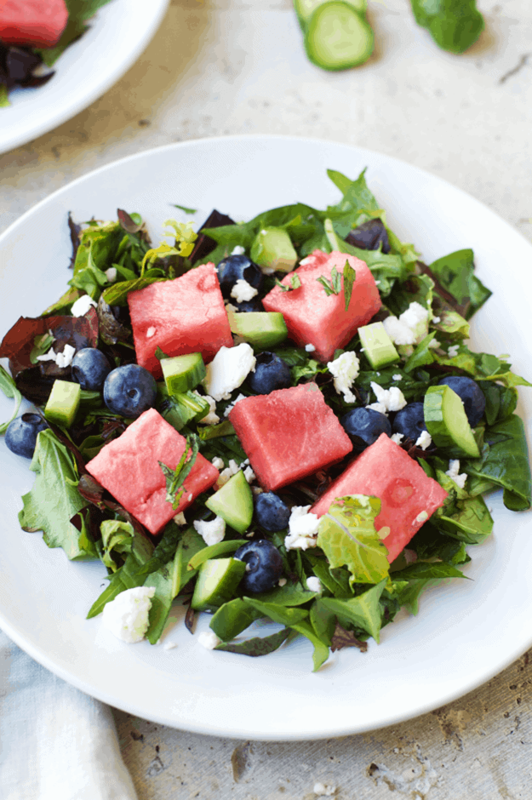 The fresh greens mixed with watermelon and blueberries complement the crunchy cucumbers and bite of the Feta cheese. Doesn't that sound like the perfect summer day? Maybe even one in a melon! Finely chop the fresh greens. Slice the watermelon and cut into cubes. Cut the cucumber into small pieces, and the mint leaf so it is very finely chopped. 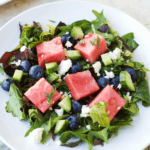 Place the greens, watermelon, cucumber, mint, blueberries, and Feta cheese in a large bowl and lightly toss. Drizzle in the balsamic vinaigrette and serve immediately while fresh. Enjoy! Feel free to add grilled chicken for added protein.